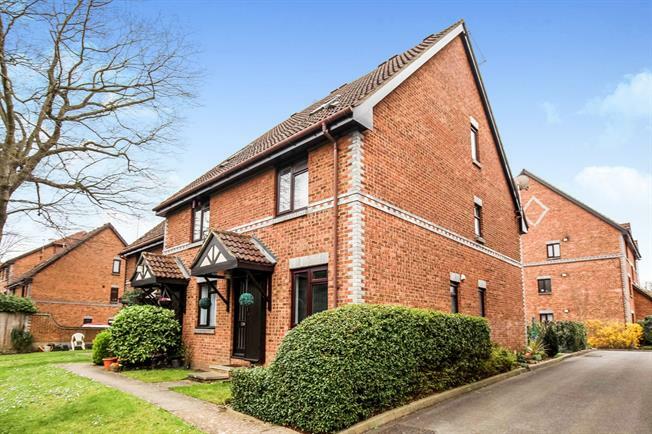 2 Bedroom Maisonette For Sale in Woking for Guide Price £275,000. This attractive and unusual maisonette has been renovated to a great standard throughout. Enter into a ground floor hall and ascend up into a hall entrance with a large storage cupboard, then discover a double bedroom with additional storage and a high ceilinged living space which feels cosy and homely. The kitchen is part open plan making clever use of the space, and stairs from the hall lead you up to the top floor with further storage, an attractive and modern family bathroom, and a 13' master bedroom with built in wardrobe space. Outside is a common green area away from the main road perfect for picnics and al fresco entertaining, and the ample off road parking is complemented by a separate brick garage en bloc. Call the Woking office now and we will come out and show you around!